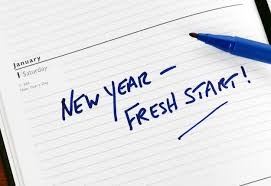 The New Year always brings with it a fresh start and a new perspective. At this stage of the year most of us have made a decision to make some changes in life. We often start out strong with purpose and determination. Often we lose hope because the results we want to see don’t happen as quickly as we would like them to. Once this happens we usually stop trying to change and go back into our old habits. The problem isn’t that we can’t change. The real problem is that we have underestimated the time it will take to get the results we are looking for. We often don’t give any thought into how long it will take to get the results we are after. We focus on the pain of what we are giving up and not the gains from something new. Having the right mental approach is important when making a change. If you are looking for a fresh start in 2017 don’t give up just yet. The key is to make smaller changes in the beginning and focus on what you need to do, not the results you want to see. Change takes time. It takes consistent effort. The results you are looking for will happen over time, if you are consistent with your actions each day. Once you have successfully made some smaller changes your confidence will improve, as will your results. For more information about how we can help you achieve better results in 2017 please call Endeavour Wellness on 1300 954 980. We would love the opportunity to work with you to help make some long lasting changes in your life.